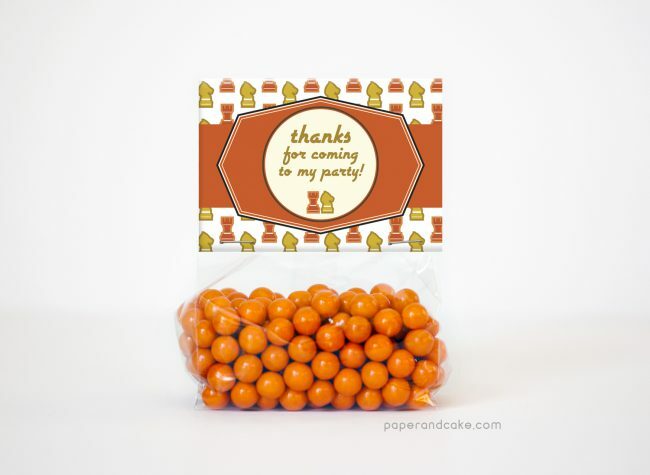 Host a Game Night Party with our strategic Party Favor Kits, that read “Thanks for Coming to my Party”! USPS Priority mail (excluding international). 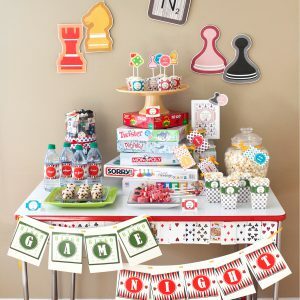 A ready-to-hang birthday pennant banner with board game graphics. 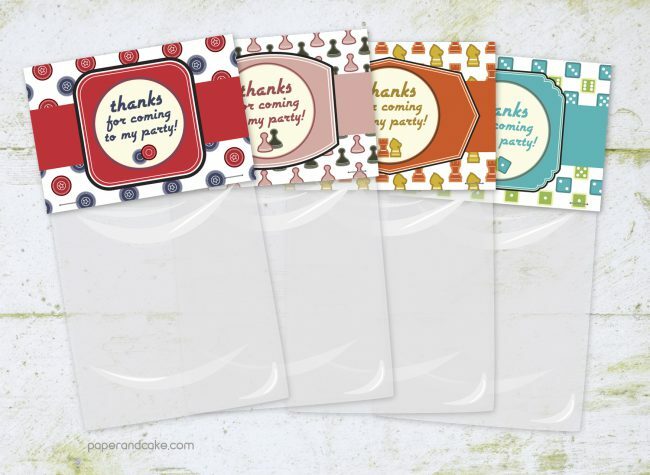 A game of chance set in retro themed colors.